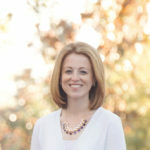 I am always looking for new creative and fun ways to spend family nights with my family. Some examples of family nights in our home are: Movie night, Game night & Reading night (where we all will read books to each other). 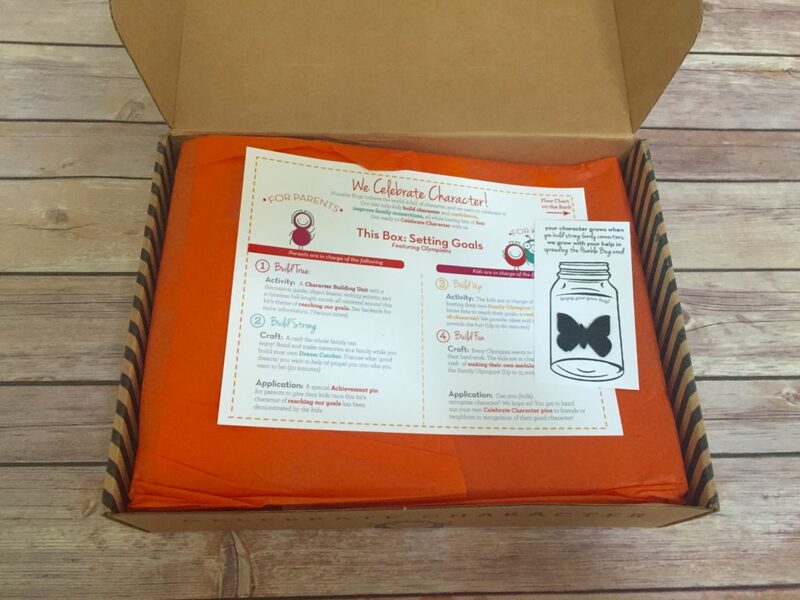 I was contacted by a subscription kit service called Humble Bugs to review this month’s kit. Each Character Building Kit features a different character value that helps build stronger, happier kids and families. 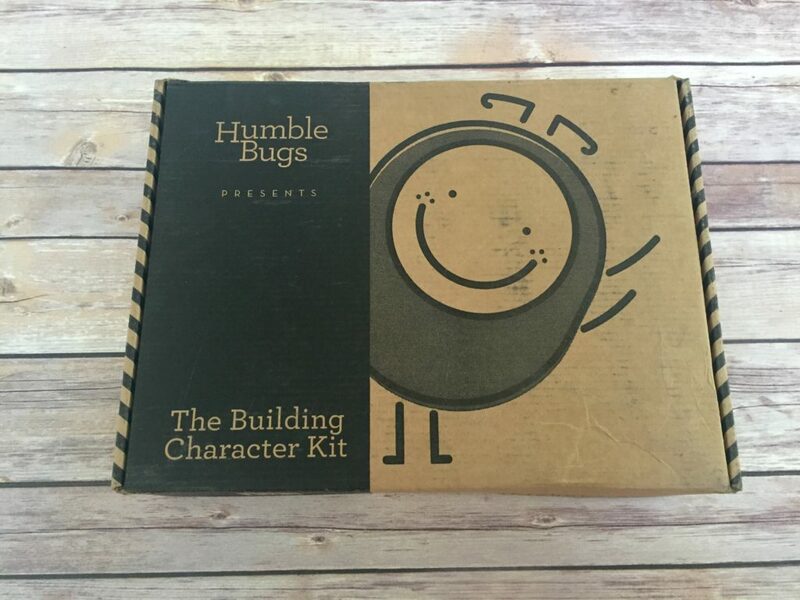 The Humble Bugs’ Character Building Kits include supplies, information, a classic movie, crafts, and lots more that the whole family can enjoy together. Subscribers receive a new Character Building Kit at their doorstep every other month! My kids were very excited when our Humble Bugs Subscription Kit arrived. When we opened it we noticed the box was filled with so many activities. Receiving the box when we did was perfect timing, since a hurricane was passing through our neighborhood that day. We were very excited to unpack the box and check out everything! This box is themed: Setting Goals, featuring Olympians. It includes 5 days worth of fun for families. Day 1 for us was Building a fun medal craft for the kids. For the parents it was to read the review booklet BUILD TRUE and to fill out the Life Journal. 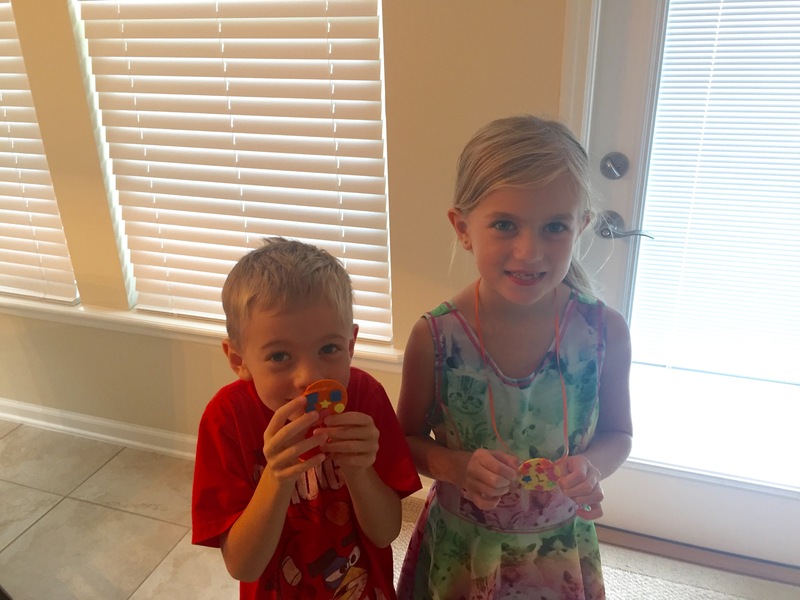 My kids had a blast making their own medals. I even made one! You get 9 medals to create (3 gold 3 silver and 3 bronze), 2 tubes of glitter glue (gold and silver) and lots of sticker shapes. There was plenty for all of us. Day 2 for us was Parents BUILD TRUE Discussion Guide and Object Lesson. Our object lesson was to help kids understand the importance of taking small steps to reach goals. We were provided with cotton balls. The goal was for each child to catch all 5 cotton balls at the same time, and ask questions. 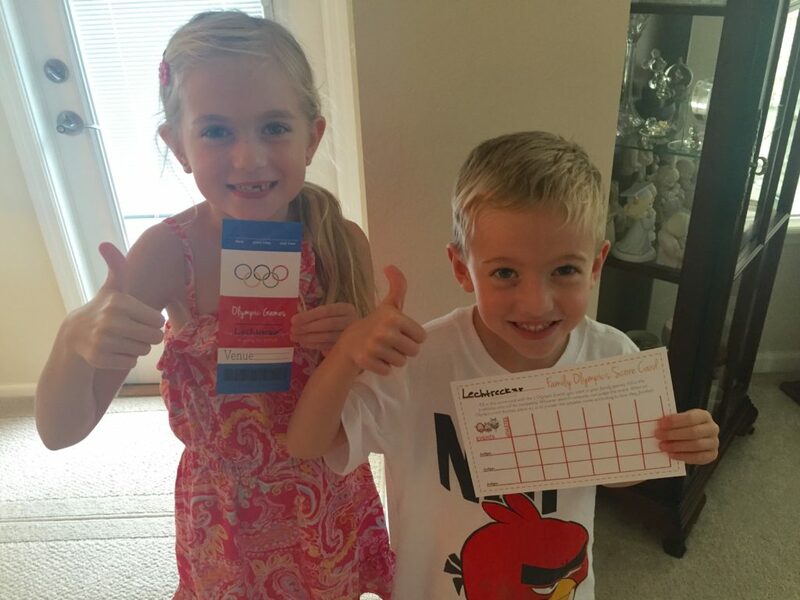 The kids had a blast with this activity and did learn that it takes time to reach goals and to have patience. Day 3 for us was Kids BUILD UP Family Olympics and BUILD TRUE writing activity.Our object lesson was to make a suitcase to help carry our goals with us wherever we may go. 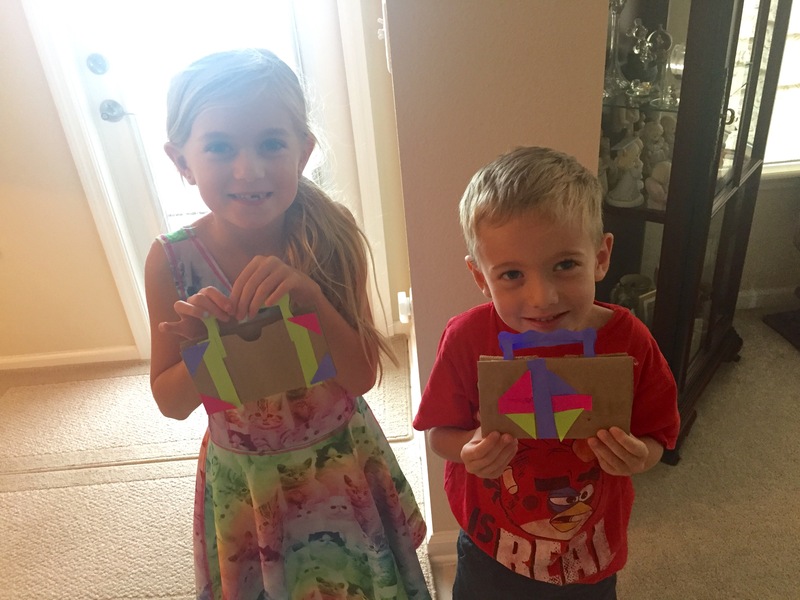 The kids had a lot of fun with this craft! Day 4 was a craft activity for the whole family. 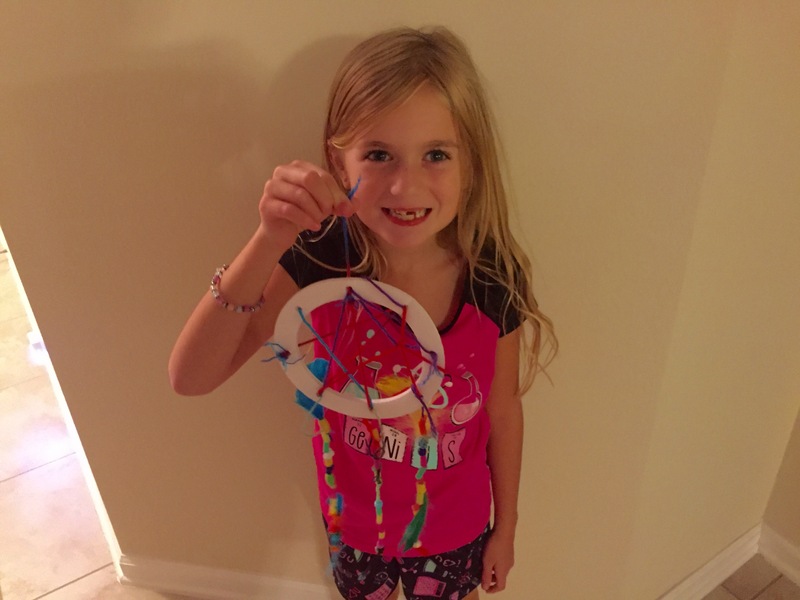 We made dream catchers! So much fun, my kids were so excited to make them. Day 5 was Movie night and Character pin celebration. 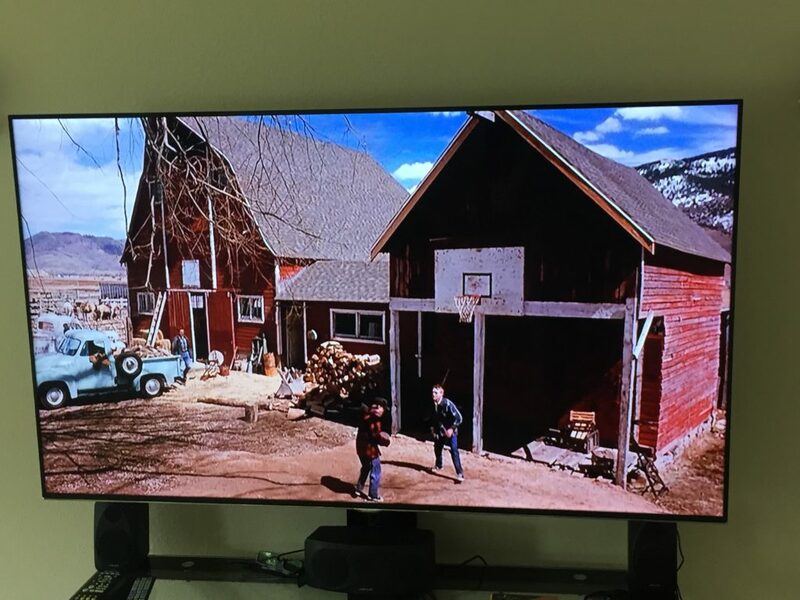 We watched a family movie that was included in our box called “Jumping For Joy.” My family really enjoyed this movie, and the kids learned about sacrifices and team effort. I then gave the kids their Character pins for achieving their goals! 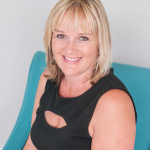 The prices for subscription is as follows: $35 for a kit every other month (billed every other month) a 6 month subscription for $33 per kit (you save $6 and receive 3 kits) and an annual subscription for $30 per kit (receive 6 kits). We absolutely loved this month’s character box. My kids are so excited and have asked to subscribe, so we are looking forward to the next box. Your family will surely love Humble Bugs! Click here to subscribe! 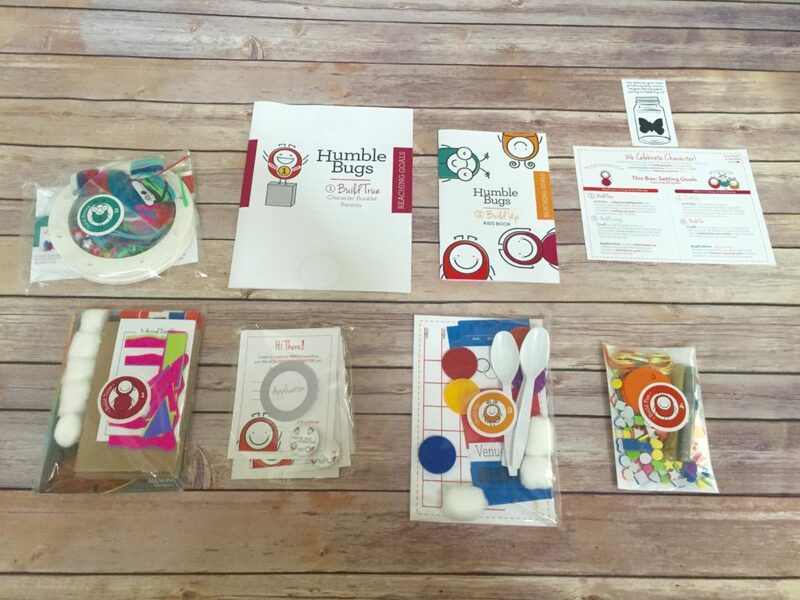 *I received a complimentary kit from Humble Bugs in exchange for this review. All opinions are my own.